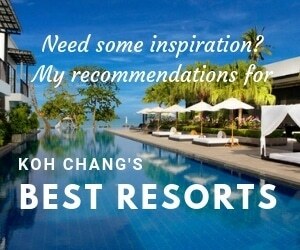 Home » Photo Galleries » Nearby Islands » Koh Klum – Worth the effort? 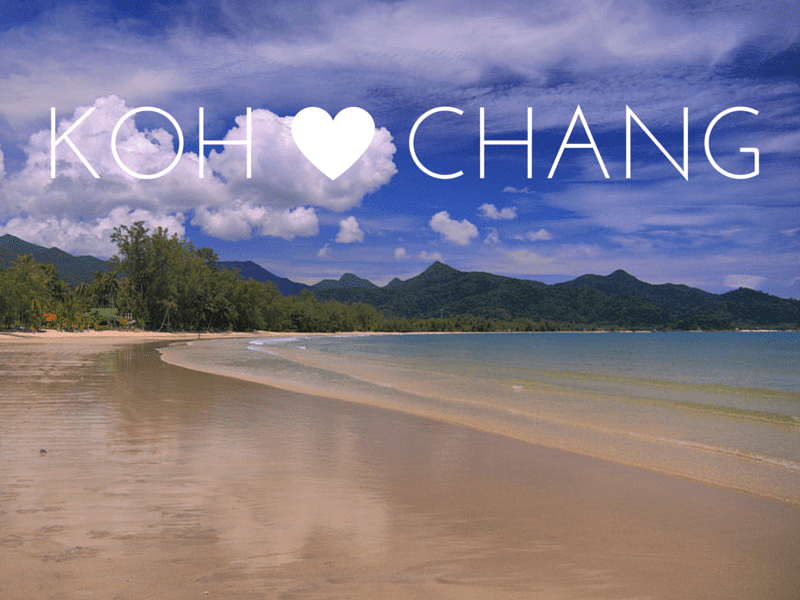 Koh Klum – Worth the effort? It’s the question on everyone’s lips as they stand on Bangbao pier and see this big island which lies around 7 kilometres to the south. 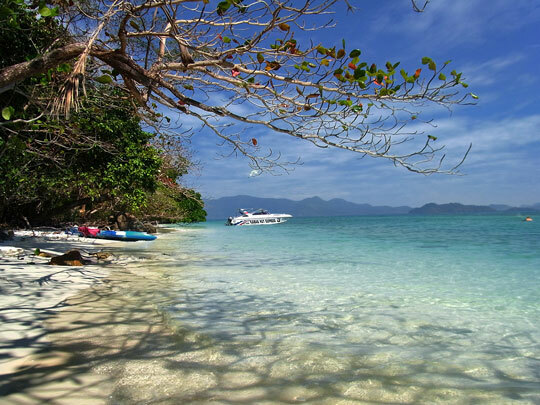 The island is Koh Klum and from a distance it certainly is an impressive sight as it’s mountainous and pretty big – almost 4Km in length. Surely it must possess some hidden treasures? So, I went to find out. And, as I fancied a bit of exercise, I decided to paddle down there by kayak and take a look around. If you are thinking of doing this then bear in mind to check the wind & waves before you set out as it can get quite choppy in the middle of the ocean should the wind pick up & there’s no-one there to rescue you. ( Windguru.cz is the best site to check before you set our on any paddle. ) Also bear in mind that it can be a bit boring paddling so you might want to take someone to talk to or, better still, a waterproof MP3 player to sing along to. Other essentials are loads of water, by which I mean several litres at least not a couple of small bottles, a big hat, sunscreen and a waterproof bag. Ideally not one that came free from the 7-eleven when you bought your snack for the journey, as these get holes in easily. And finally, the route on the map below is just over 20 Kilometres paddle, so it will help if you are reasonably fit. So, no real reason for you to visit. But if you happen to get the chance to stop off at this small beach on the southeast of the island then do so, excellent spot for lunch. In my case a couple of homemade cheese sandwiches and a couple of litres of water.